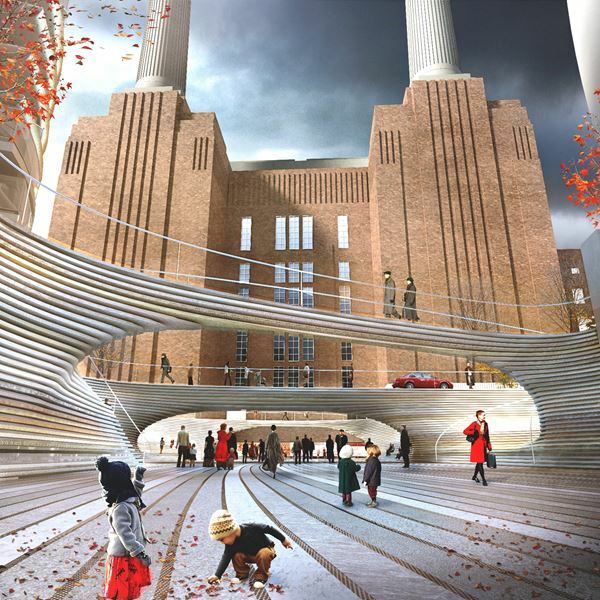 Bjarke Ingels is slated to join elder architectural statesmen Norman Foster and Frank Gehry at the Battersea Power Station in London. The multi-billion dollar, mixed-use redevelopment was originally master planned by, yes, another starchitect, Rafael Viñoly. 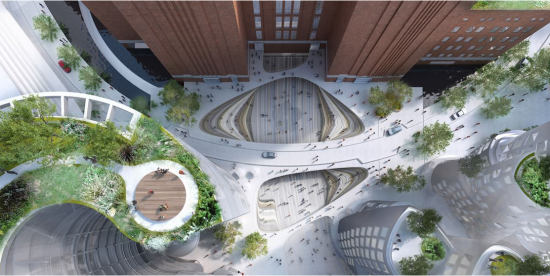 Ingels’ firm, BIG, joins the bunch after winning a competition to design a public space for the project called Malaysia Square. Why is it called Malaysia Square? Because, lest the Brits forget, the project is backed by a Malaysian development consortium. BIG’s plan for Malaysia Square goes beyond the name; it takes its form and design from the caves of the country’s Gunung Mulu National Park. The Battersea developers describe the space as a “two-level urban canyon.” To that end, Malaysia Square is clad in limestone, granite, marble, sandstone, gravel, and has dolomite striation. The square’s natural materials are sculpted into a dramatic design, but don’t necessarily make for the most comfortable place to stretch out.